When Apple unveiled the iPhone 5S and its 64-bit A8 processor - an industry first - it caught silicon spinners sleeping on the job. The Android ship was not set to sail over to 64-bit shores for another year or two, because there really was no important reason to. But weeks after Apple's keynote ended, demand was epidemic, and chipmakers found themselves forced into outing their 64-bit technology as soon as possible. It might have been a scramble, and it may have caused a headache or two at the likes of Intel, Google, Qualcomm, Samsung, and MediaTek. But by the end of 2014, 64-bit Android smartphones are in place, Google has sorted out 64-bit support in Android 5.0 Lollipop, the ground has been evened, and the path for the near future is pretty clear-cut. Go 64-bit, or bust! To prove our point, here are ten new or upcoming 64-bit Android smartphones. Some of them are available right now, or will be released in the coming weeks. Contrary to what you may expect, most of them aren't performance beasts. It's because Qualcomm and MediaTek, which are the forefront of 64-bit processing, began the transition by outing their low and mid-range processors this year, leaving the flagship products for the first half of 2015. This way, smartphones for the budget-conscious can already benefit from 64-bit processing, while the most potent silicon is being primed for 2015's spec monsters. The 0.19-in (4.85mm) thin Oppo R5 was the world's slimmest phone for a day. Then another Chinese upstart, Vivo, whisked the crown by announcing a smartphone (the Vivo X5 Max) that's 0.0039 (0.10mm) thinner. Since everyone was focused on that, it might have eluded you that the Oppo R5 happens to be powered by an octa-core 64-bit Snapdragon 615 processor. While it's no performance beast, Qualcomm's 64-bit mid-ranger does the job and makes for a future-proof smartphone! Huawei is on a roll this year, stepping up its smartphone-making game with sweet designs and generous spec sheets. Just look at the Huawei Honor 4X! The lowly, but recent 64-bit quad-core Snapdragon 410 processor is only the weakest link in the chain. With a 5.5-inch 720p screen, 2GB of RAM, LTE, a 13MP rear cam, and a brilliant design, that's the kind of mid-ranger that makes the Chinese market impenetrable unless you're willing to deliver the goods at razor-thin margins. The Y550 might not look like much, but it shows even the lowest-tier devices from Huawei have something more to offer. In this case, it's a 64-bit quad-core Qualcomm Snapdragon 410 processor, Android 4.4.2 KitKat, and 4G LTE connectivity - all that put together in a bargain-bin smartphone. Affectionately named the "baby Oppo Find 7", this 4.5-inch nipper is powered by a Qualcomm Snapdragon 410 64-bit processor, has 1GB of RAM, a 5MP main cam, a 2MP front cam, and runs Android 4.4 KitKat topped off with Oppo's ColorOs 2.0 UI. A fine low-end phone it is, but the $212 price is steep by any standards. The Lenovo Sisley is every blatant bit an Android-powered iPhone clone, down to its 64-bit Qualcomm Snapdragon 410 processor. Elephone isn't very popular outside of homeland China, which doesn't mean it can't deliver some fine smartphones. This one, the Elephone P6000, runs on a quad-core 64-bit MediaTek MT6732 processor paired with an ARM Mali-760 graphics unit and 2GB of RAM. It also has a 720p display, a 13MP main camera, and LTE connectivity. Not bad for a sub-$200 smartphone! Now, how about something with more major brand cred? Released this September, the Samsung Galaxy Mega 2 is Sammy's phablet for the masses, offering a 6-inch 720p display, a Snapdragon 410 64-bit processor, 1 and a half gigabytes of RAM, an 8-megapixel main camera, and a 2800mAh battery. The phablet runs Android 4.4.3 KitKat topped off with, you guessed it, Samsung's TouchWiz UI (the latest version, as seen in the Galaxy Note 4). Wait, what? Isn't the Galaxy Note 4's muscle fed by a 32-bit Snapdragon 805 processor? It sure is, but that's not all there's to it. In some parts of the world, the Galaxy Note 4 is sold with a Samsung Exynos 7 Octa processor, a state-of-the-art piece of 64-bit silicon manufactured on a 20nm process. Benchmarks show this chip almost matches the godly NVIDIA Tegra K1 and it is a bit ahead of the Snapdragon 805. But don't hurry up and return your Galaxy Note 4 yet, because it runs just fine on Qualcomm's chipset. If the Exynos was that much better, Samsung wouldn't have bothered with making two versions of the same device. Staying true to its penchant for being the first to put cutting-edge technologies on the market, HTC introduced the first 64-bit Android phone, the HTC Desire 510, and quickly followed with the Desire 620 and Desire 820. The first runs on the Qualcomm Snapdragon 410, the second is based on a octa-core MediaTek MT6592, and the third packs the octa-core Snapdragon 615 SoC. The Desire 510 and Desire 820 are on sale, while the Desire 620 is being primed for an Asia launch. To end this round-up on a high note, we bring forth the Lenovo Vibe Z2, a hunk of metal that combines premium looks with mid-range specs. We're talking about a 5.5-inch 720p screen, a Snapdragon 410 64-bit processor, 2GB of RAM, a 13MP main camera, and a 3000mAh battery. With no the Krait's successor, surely Qualcomm have become boring with all of their next-gen 64-bit CPUs are the mainstream ARM's Cortex. So what's wrong with their 64 bit lineup? 810, 808, 615, 610, 410 are all 64 bit CPUs. The 808 and 810 have emmc 5.0 support, ddr4 ram, and be the first to support 20nm for Qualcomm. The 810 will support dual channel 1600mhz ram for a through put of 25gb bandwidth, and run at 2.8 GHz. What not fast enough? The problem with 808 and 810's is that they are 3way superscalar. So they can process 3 instructions per cycle. Apple's A8 can do 6 and the Denver K1 can do 7 instructions per cycle. This makes a huge difference in processing speed. I'm impressed that someone else in this idiot farm understands how far behind Qualcomm and everyone else using Stock ARM cores next year are. The A7 is a custom 64bit core. Last years A7 is more advanced than than Qualcomm and Samsung's offerings planned for next year. Nvidia is doing its own thing and doing a great job as well. Not that much as your numbers suggest, as the A57 can be clocked higher. But I agree that there is some difference and that both Denver and Cyclone are better. I did find something interesting. Denver K1 is in order execution and others are out of order execution.. This can make Denver k1 freeze if the decompiled instruction is not the next to process.. Although huge cache is provided .. It can be really hit and miss. But in order to avoid it they are using a sorting algorithm which in itself will take clock cycle reducing performance. It is better to have sorting algorithm to avoid freezing. Plus arm cortex 57 have 50% increase in the performance compared to cortex a15. Denver is a15. But apple is a57 v8 out of order and 6 way superscalar hence better performance than all.. But with lesser cores. This is how apple have better performance than all. Imagine all with octave core and good clock frequency ..
What are the advantages of having 64-bit smartphone? Apparently, nothing, if you listen to the android camp. When Apple unveiled the chip, many dismissed it as a gimmick. Uh, no. 64bit memory addressing is useless. ARMv8 architecture's improvements isn't. Saying otherwise is just a strawman argument. There are many cases where 32 bit is more efficient using smaller memory foot print to complete the job at a faster speed. 64bit memory = 10L large bucket 32bit memory = 2L smaller bucket. But if only have 1L of content using a 10L large bucket would be inefficient and slower than the smaller bucket. Anyway 64bit is the future. Samsung made two version of Note 4 simply because USA and some Europe country too love Snapdragon. That doesn't make any sense. I thought it had everything to do with supply and demand - they couldn't make enough Exynos chips to keep up. But if Samsung had the option of adding support for US frequencies, why wouldn't they? Why not be fully vertically integrated? They did it with the Note 2. The reason that they made two versions is because the Exynos wasn't working correctly with the LTE modem. Whole lots of Chinese makers. Don't know but can't seem to purchase one even if the specs and looks are a lot better. Back in my day, Snapdragon 600 series were the fastest ones. And then a few months later, the 800 series arrived. Samsung and HTC used the 600 in their flagships because the 800 wasn't available yet. Now it's clearly 400 for entry level, 600 for midrange, 800 for high end. 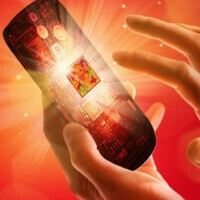 Snapdragon S4 Dual Core and Quad Core came before the 600. Then 800, 801, 805. BUT THEY ALL USE THE EXACT SAME CORE. Krait is ancient and it shows. Most of those phones are coming with somthing lower than 5.0, thus, 64 bit or ARMv8 support is irrelevant - it won't even work. Where is Samsung Galaxy S6? In a future article alongside the Z4 and G4. Why aren't they having over 4gb's of ram? Lame. Great to see 7 out of 10 are Chinese. Soon it would be 9 out of 10.